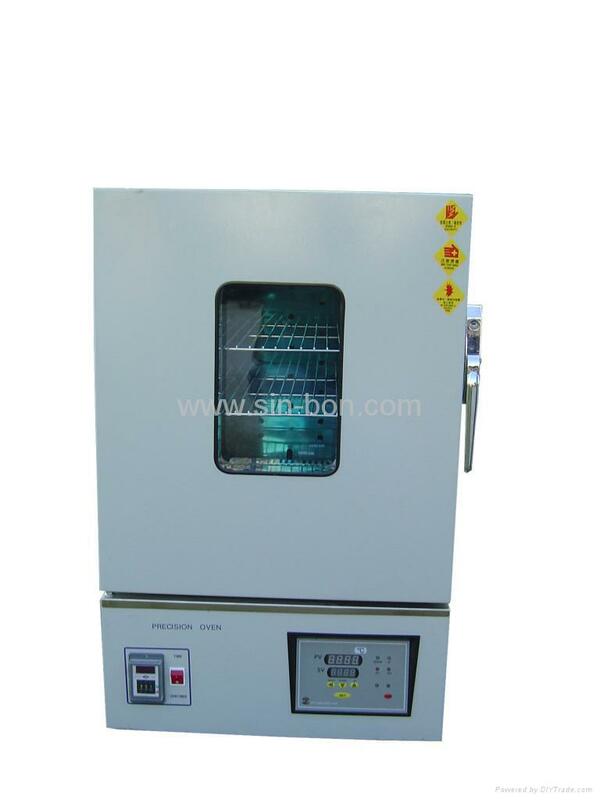 PID Micro-Machine High-Precision Temperature Controller.Easy to set and reach to temperature stably. Can choose either to count time or not. Attach with West consumption,High Temperature, Power Failure Protector. Adopt Silicon Packing,safe ,hygienic and no pollution. Research Institution,School, Factory,Quality,Control laboratory,Electro,Electric Machinery, Hardware, Plastic and , etc. Warm Air Circulation SSR No-Control System. PID Micro-Machine calculate automatically.LED double Display Panelouch panel. Horizontal Louvered Fan.Uniform the temperature. Outer : Galvanized Steel Plate with High Temperature Finish. Adopt imported Mineral Wool.NO Pollution. Great capability to maintain warm. Alarm rings. Ringing stops after 6 seconds automatically. Not easy to be bumed and can be usede for long. Can lift or lower the movable palings and frisket at random.